The place of Complementary and Alternative Medicine straddles lifestyle modifications and conventional medicine. If lifestyle modifications, health psychology and/or mind-body techniques alone are not sufficient to restore health, full systems of Complementary and Alternative Medicine (complete systems of assessment and treatment) such as acupuncture, homeopathy, anthroposophic medicine or naturopathy are especially appropriate by trying to support and induce the self-regenerating process of the person. These CAM approaches view illness and disease as multi-causal and dependent on the conjunction of precipitating mental, psychosocial and pathogenic factors, along with the individual’s constitutional susceptibilities in general and in particular organ systems. With the aid of natural medicines and the patient’s own commitment to change, the healing power of nature, vis medicatrix naturae, is facilitated to restore the balance we call health. Improving the level of health implies reducing any disease process as well as the susceptibility to illness and disease. That means that these CAM approaches are not limited to certain diseases but are universally applicable to all kinds of diseases. They can often be used as a first therapeuticoption, thus greatly reducing the need for high-impact, high-cost interventions with potential adverse effects and for long-term dependency on conventional medication. Dual-trained physicians have taken additional training in one or more of the systems of Complementary and Alternative Medicine and thus blend Western medicine with other healing traditions to optimise improvement, and minimise risk and side effects. In the European Union there are approximately 145,000 dual-trained physicians, with figures for each therapy that are comparable to those of mainstream medical specialties. They may function as General Practitioner or work in tandem with conventionally working GPs. Dual-trained physicians are practitioners who can place their feet in both worlds, have the authority to make a comparative assessment as to the therapeutic possibilities of CAM versus any necessity of other interventions, including biomedicine, and may serve as mediators for better communication in the triangle of patients, conventionally working physicians and (both medical and non-medical) CAM practitioners. 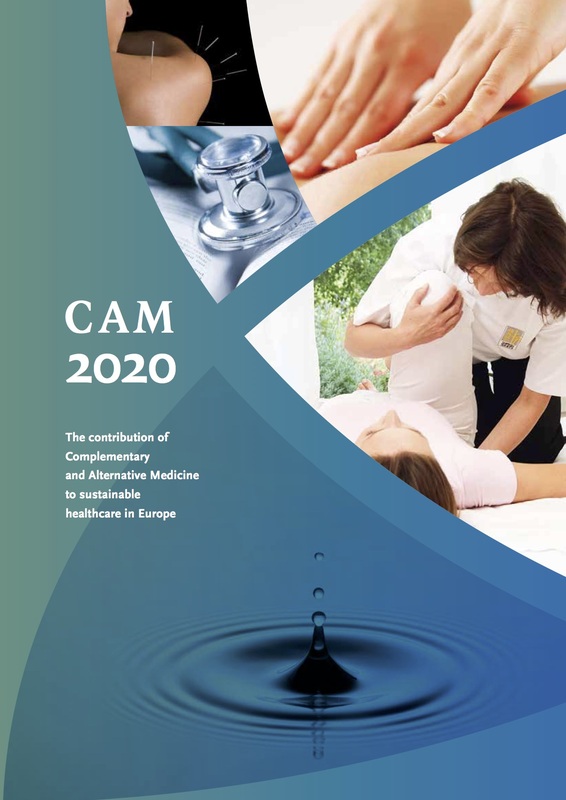 In several EU Member States, mainly in Northern Europe, practitioners without a full medical education are allowed to practise full systems of Complementary and Alternative Medicine such as acupuncture, homeopathy or natural medicine. In order to practise safely and competently it is necessary for these CAM practitioners to have received a full education and training in a particular CAM therapy as a discrete clinical discipline in itself, to act only within the bounds of their professional competence, and to refer or recommend referral to other healthcare practitioners when it is necessary for the patient’s health and well-being. They can be considered as competent to work as an integrated member of a team of healthcare practitioners working in a primary care setting or, for the sake of safety, at least in close cooperation with physicians who couldserve them as backup. Integrated Primary Care Health Centres will provide infrastructure for GPs and other health professionals, including new categories of health consultants and healing practitioners to work together in the one place. Providing the facilities for multi disciplinary teams to work together will mean a greater focus on prevention and management of chronic disease. This will also mean greater convenience for patients and increase the likelihood that patients will follow up with treatment, thus improving health outcomes. Supporting clinicians to focus more on preventive and population health can also provide greater professional satisfaction, and reduce the frustration that many doctors feel in being unable to address the underlying cause of many of the health problems they encounter among their patients. In such a setting all professionals should be committed to the integrated healthcare paradigm and have developed an in-depth understanding of each other's roles and cultures. Regular collaborative team meetings should e held to discuss both patient issues and team collaboration issues. Establishing integrated primary care health centres will take the pressure off hospitals and provide a greater focus for tackling the challenge of chronic disease It is likely that for the foreseeable future that dual-trained physicians and other CAM healthcare professionals will continue to work outside of Primary Care Health Centres. To promote moves towards more integrated care CAM practices needs to be supported by recognition of the professions involved, appropriate and validated training, and research particularly into outcomes and safety.